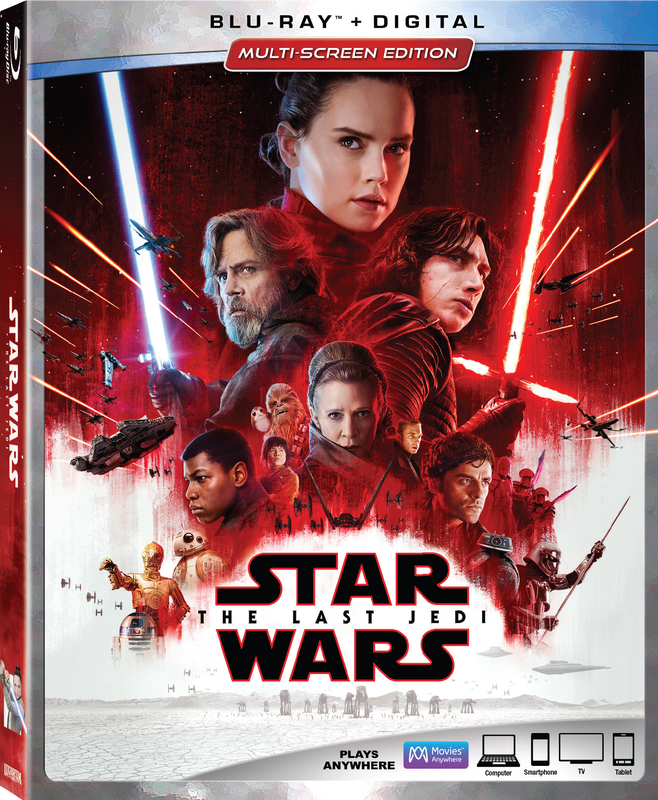 The biggest movie of 2017 comes home this month! 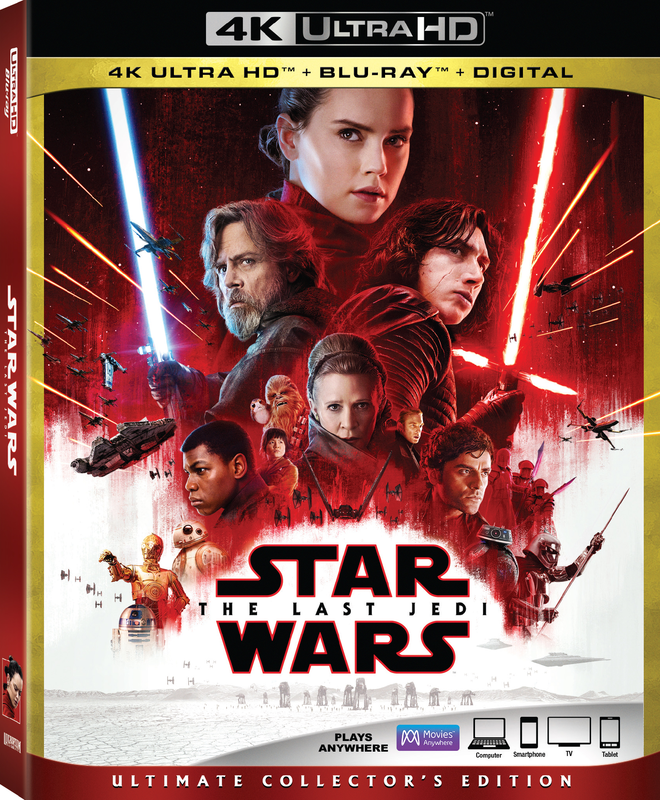 Star Wars Episode VIII: The Last Jedi is available in HD and Ultra HD 4k digitally via Movies Anywhere on March 13. 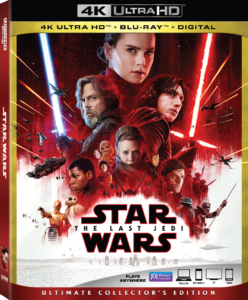 Physical Blu-ray and 4k discs will be released March 27.This marks the first 4k releases of a Star Wars film, and it is Disney’s first title available on 4k Ultra Blu-ray disc in both Dolby Vision HDR and Dolby Atmos audio.